Get those resumes moving. 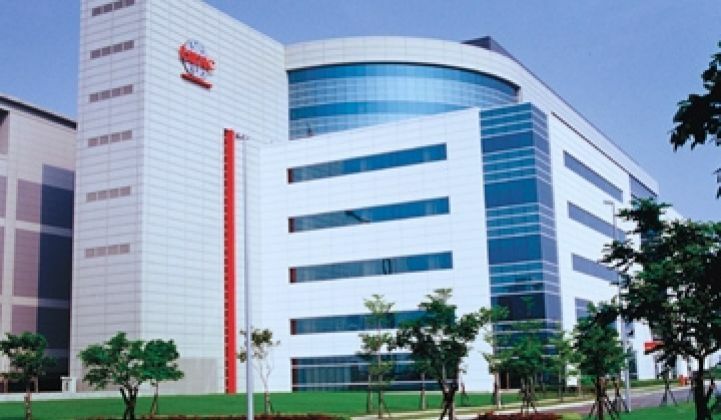 TSMC is looking for execs to head up its push for solar. Other conglomerates may follow. Employment continues to be difficult, but qualified engineers might want to remember these four letters: TSMC. Recruiters are actively seeking managers with eight to ten years experience to fill executive positions in Taiwan for Taiwan Semiconductor Manufacturing Co., according to sources. Compensation is within "international standard semiconductor industry package." In particular, TSMC wants people with experience with solid state lighting, CIGS, and balance-of-systems in solar. For the past few weeks, we've written a number of stories on how the chip giant, which created the "foundry" or factory-for-hire model in semicondutors, wants to move into energy. This summer, founder Morris Chang returned as CEO and the company said it would budget around $50 million for "possible solar investments." TSMC also said it wanted to make LEDs, which are chips, TSMC's speciality. Additionally, sources in Silicon Valley told us that TSMC was talking to various VC firms about portfolio companies that might fit the company's needs. The recruiting push is the next step. 1. If you want a new job, contact them. The company is one of the most successful in the history of the chip industry. It has also in the past hired away academics from universities like UC Berkeley to improve its processes. 2. It is the first time we've heard CIGS in conjunction with TSMC. Does TSMC plan to make CIGS solar cells or serve as a foundry for people who have CIGS designs but lack a factory? It could go either way. Many are expecting to see a foundry come to the solar business and TSMC is the logical company to do it first. Although some of the early CIGS companies had to spend tens of millions to build prototype facilities, some new entrants like NuvoSun and Telio Solar have managed to get sample chips out the door by spending only a few million. These new smaller companies don't have the money to build factories. A foundry thus could become a lifeline for them to get to market (see Will the Solar Industry Become Like the PC Industry?). Then again, if it can perfect at CIGS manufacturing process, it could just make CIGS cells itself. 3. This could mark the beginning of a revitalization of Asian conglomerates. Toshiba has mentioned it might buy LED companies. Samsung wants to make a push into energy efficiency. Panasonic will soon begin selling solar panels through its acquisition of Sanyo, make batteries to Tesla Motors, and it sits on many of the boards for smart grid standards. Japan has a long history in developing solar and energy efficiency technologies. This could be like the 1980s again. Image via Taiwan Semiconductor Manufacturing Co.